Jordan may have met his heir apparent. 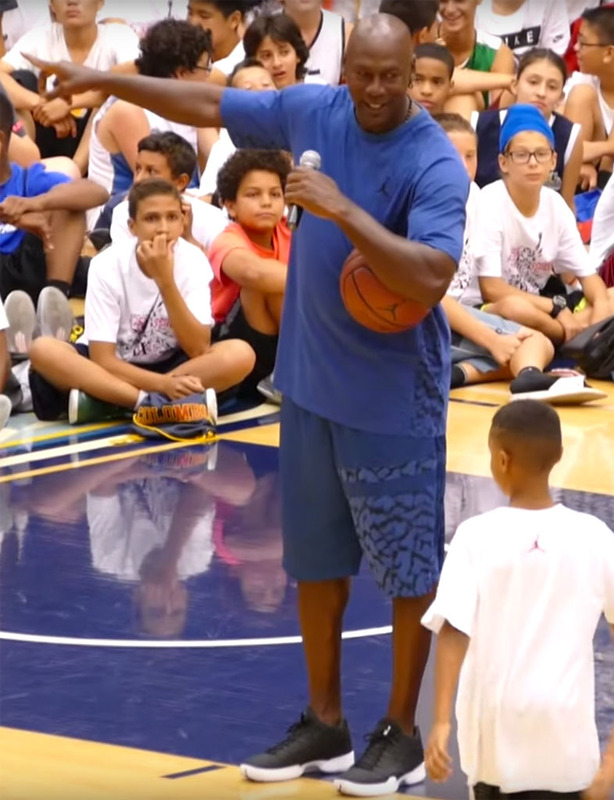 Kids may be asking Michael Jordan "What Are Thooose?" but they aren't done with Air Jordan sneakers just yet. Showing that he harbors no ill feelings, Jordan gave a camper at the second leg of his Flight School an opportunity to win free sneakers. According to Bay Area HQ, who was on hand in Santa Barbara, the prize at stake wasn't only a pair of Air Jordans for the young man, but for his entire basketball team as well. The challenge, in true Jordan fashion, was a shooting exhibition. But that's where everything gets interesting. It turns out that the youngster, whose age is unknown, is some kind of shooting prodigy. Laced up in the Nike KD 8 (which was probably Jordan's motive for the contest to begin with), the kid put on an around-the-world-like clinic, winning the kicks for his buddies. See how it went down in the clip above. And in case you're wondering, MJ is wearing another colorway of the Air Jordan XX9 Low.